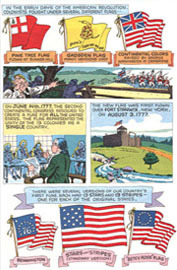 20 Pages, 6 5/8" x 10 1/4"
Origin of the "Star-Spangled Banner"
Precious freedoms we enjoy in the U.S.A.
American ideals and the Flag, and more! 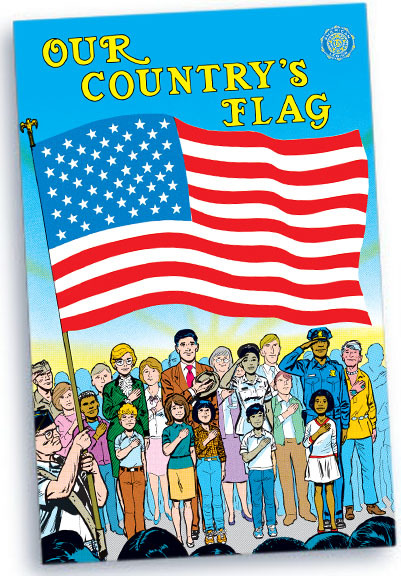 Our Country's Flag gives you an easy and effective way to teach children about the United States Flag and the ideals for which it stands. Children read and reread comic books at their own pace, to better absorb lessons. 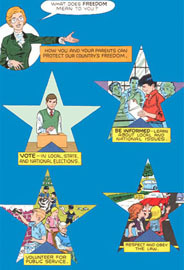 You can use these educational materials in classroom settings, for school assemblies, or at community group meetings. You can also distribute them freely, for independent learning! 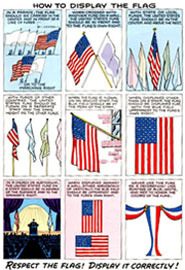 Our Country's Flag is ideal for Flag Day, Memorial Day, the Fourth of July, and Veterans Day!